Why get an online audit? An online audit is an objective analysis that evaluates your online efforts across an array of internet specialties. Many online variables influence the ranking of your legal website, not to mention attorney advertising has rules! A neutral, third party professional will assess your content and overall online marketing efforts. Only once website analytics and back-end metrics have been thoroughly checked will you really know where you stand. Don’t fly in the dark, find out the reality of your online presence. What is an online audit? An online audit examines the overall status of your content and overall online marketing efforts. It identifies what is working, what is not, and whether your budget is being properly allocated. An online audit is a smart way to gauge the success of your online operations and the reliability of your current team. It uncovers the real situation in the eyes of the internet and what it means to your business. Confirms whether your team’s efforts are on track, need improvement or require change. Identifies your online marketing strengths and weaknesses by internet specialty or deliverable. Reviews the efficiency of budget spend and analyzes back-end data to set realistic expectations. Where can I find online audit services applied? Inspects the essential elements that comprise a website such as design, content and structure. Provides feedback on how to improve the performance of your legal website. Analyzes search engine, social media or any accounts used to drive clients to your business. Advises on how to improve your legal marketing efforts for more online traffic. Reviews the logic and details of your back-end accounts that trigger or display content to an online audience. Advises on how to get better online marketing results. Checks for English language errors and grammatical mistakes, but more importantly whether relevant keywords, calls to action, and other content marketing aspects are in place. Reviews onsite and offsite, inbound or outbound, content to identify the course it takes to reach its audience. Evaluates whether your content properly draws readers into a conversion. Comprehensive review of website and search engine analytics to better optimize your legal website. Verifies effectiveness of online marketing data collection efforts. Typically, we recommend all of them because it will give you complete insight into the status of your legal marketing efforts. Website review is the most important because this is the platform that represents your law firm and should be rock solid before any other undertaking. Next is account review because you must be visible for clients to find your website. Campaign structure tackles the online marketing account intricacies and the rationale it is built on. Content editorial proofreads your content and confirms that the knowledge derived from data collection has been properly incorporated. 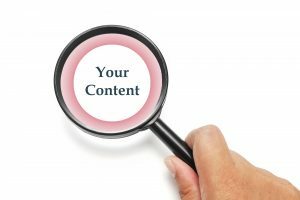 Content flow takes that edited content and ensures its distribution makes sense so it ties into a solid content marketing plan. Analytics analysis reviews core metrics that are at the heart of all your efforts for an understanding of what you need to know to succeed at online legal marketing. Contact us to learn more about our custom legal content audit services.